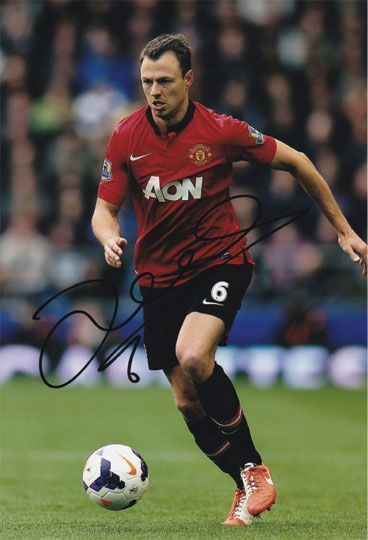 Jonny Evans Manchester Utd signed 12x8 inch photo. Jonny Evans, Manchester Utd, signed 12x8 inch photo. 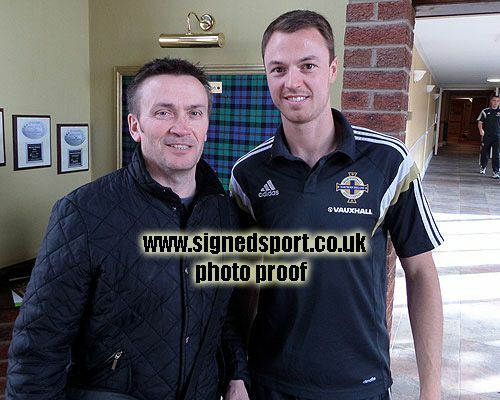 12x8 inch colour photo personally hand-signed in black sharpie pen by Jonny Evans, Manchester United FC and Northern Ireland. Evans played as a defender for Man Utd from 2006-2015 and won three Premier League titles, two Football League Cups, four FA Community Shields and one FIFA Club World Cup. He has been capped more than 40 times for Northern Ireland.